Hello! 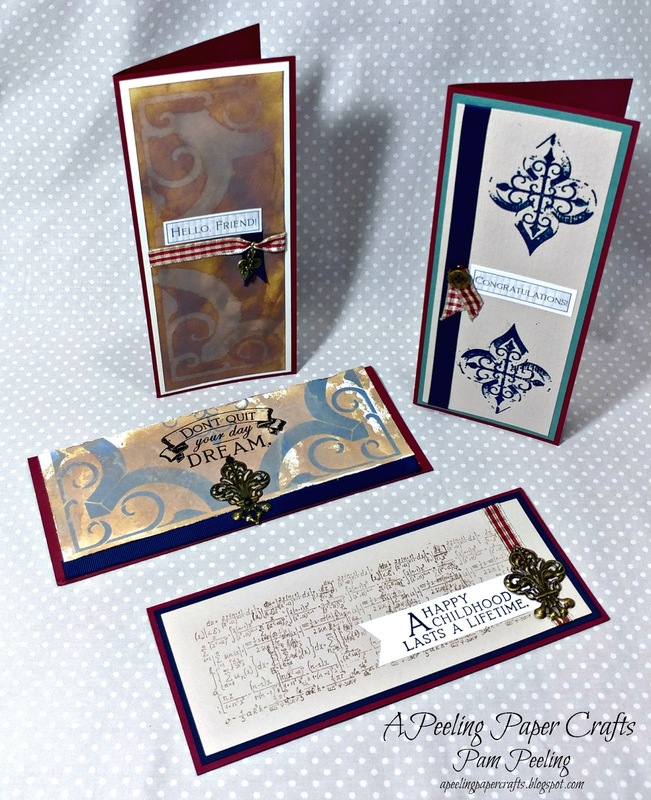 This month Club Scrap invited me to be the Guest Artist for the Ivy League Card Kit! 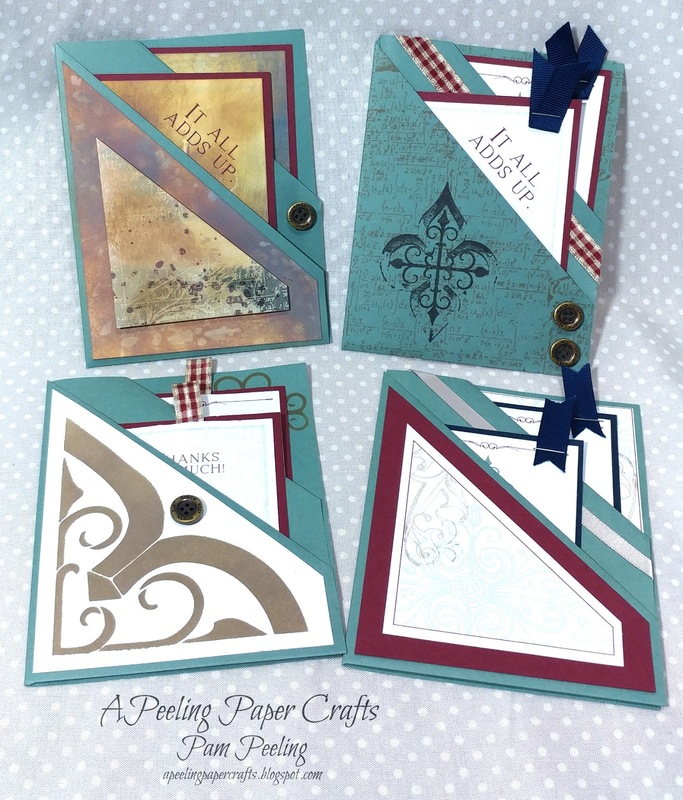 I'm so excited to share my take on the cards in this collection. I used the unmounted rubber stamps and some elements from the Page Kit to make my creations. 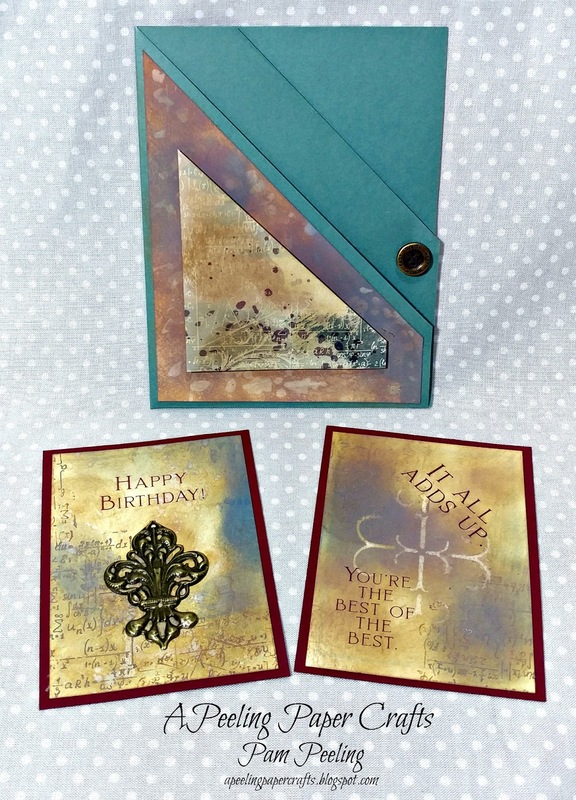 I used Distress Oxides the make the backgrounds for various parts of this card. 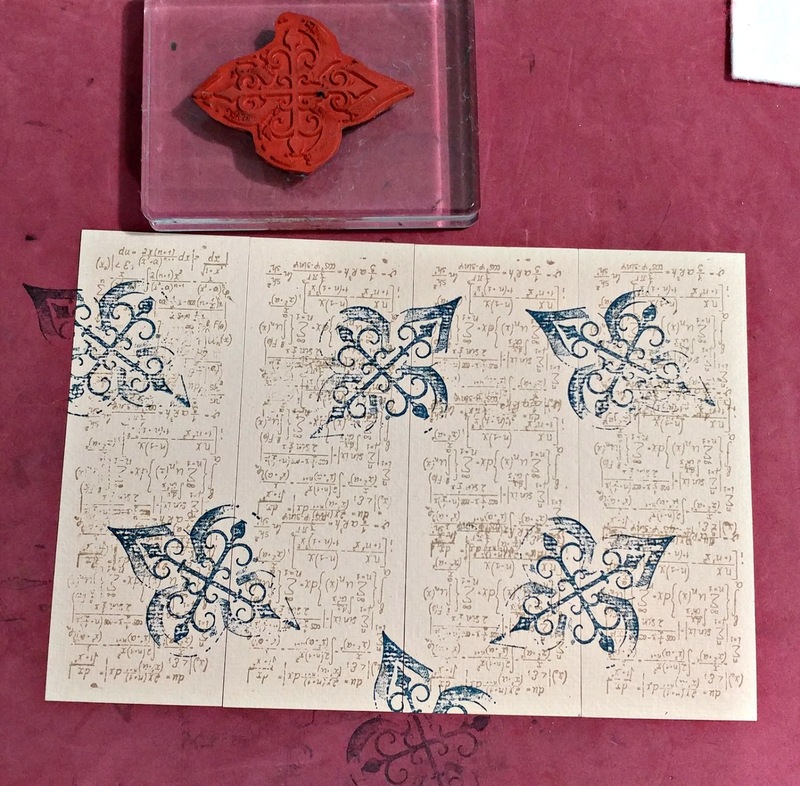 I stamped some of the unmounted rubber stamp images around the edges. I used the stencil from the Page kit to create the design in the middle of the tag. I used the cut aparts with the card kit and blended oxides in multiple colors onto the panel. For the front of the card base I started with piece of white cardstock and blended Oxides onto it. 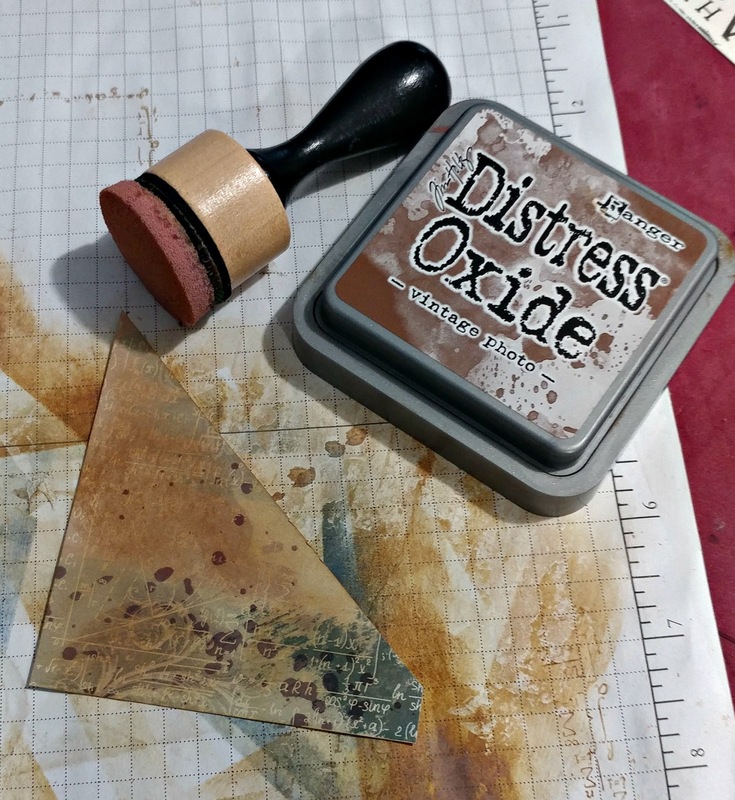 Then I spritzed and dripped water to oxidize the ink. I used the unmounted rubber stamp image repeatedly for the background of the card base. Then I stamped the larger unmounted rubber stamp image over the top of that. 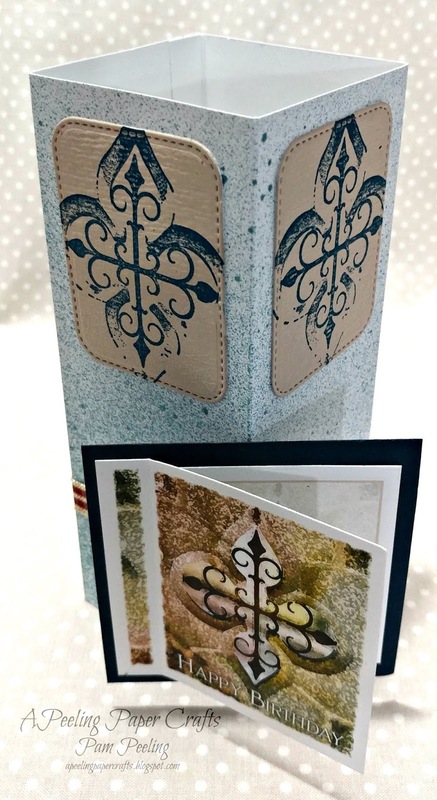 Here I used the stencil and brown ink to create the images on the card base. 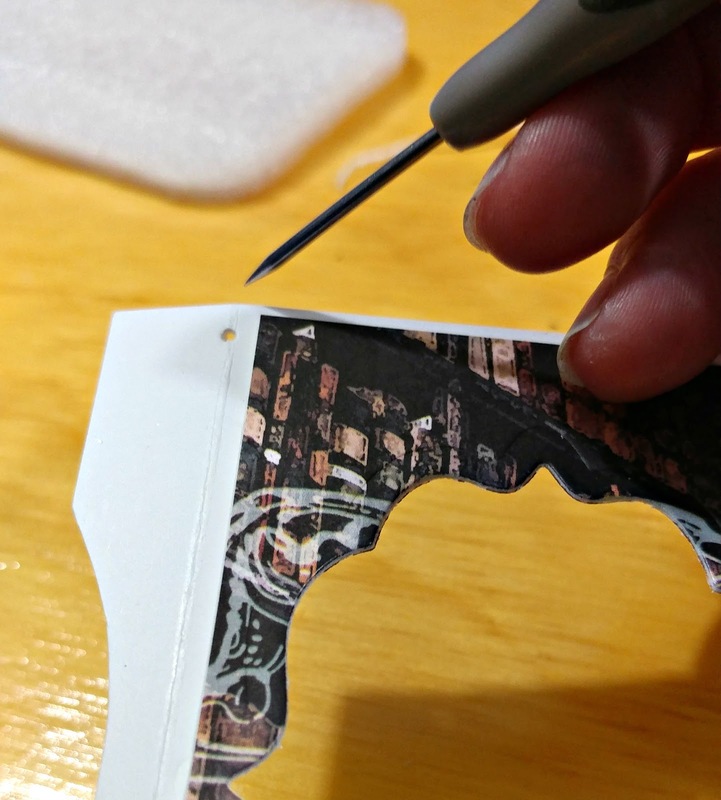 I also stenciled part of the image onto the cut apart for the tag. The ribbon and red matte on the base are from the page kit. 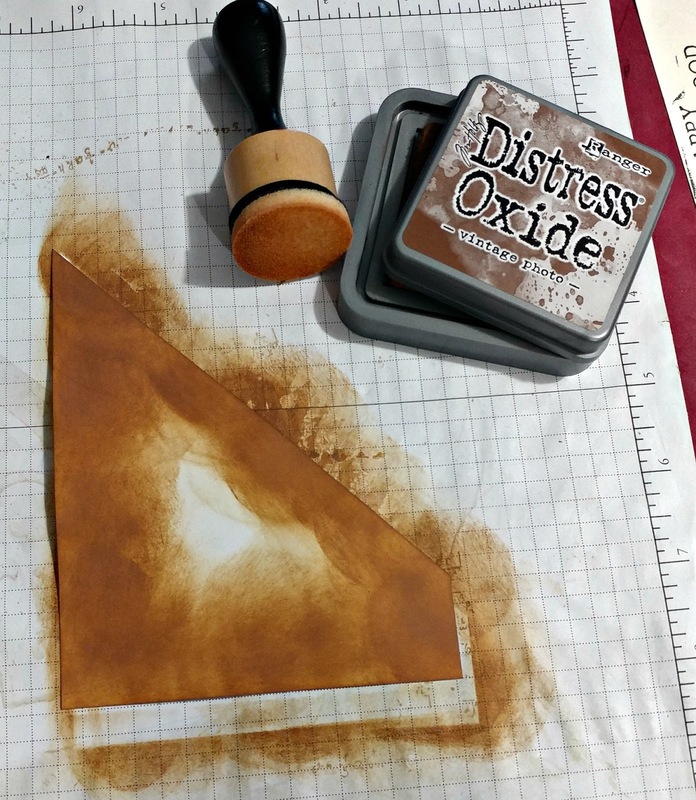 I blended Walnut Stain Distress Oxide ink on the panel, then spritzed water through the stencil to create the background. 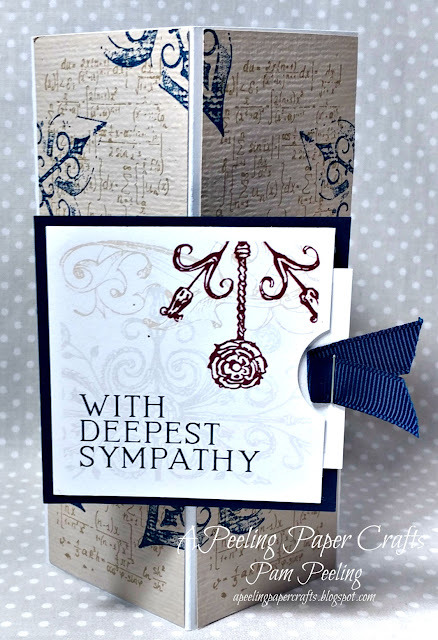 I used blue sparkly embossing powder on the unmounted rubber stamp images for the front panel. I used a piece of the green from the page kit for the matte behind the front panel. I used distress oxides and the stencil from the page kit for this background. 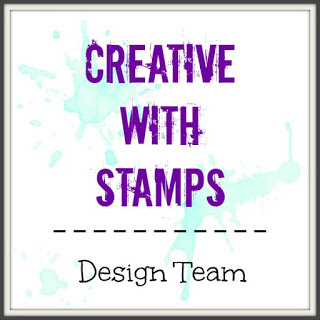 Then I stamped the unmounted rubber stamp image and used black embossing powder. I used an unmounted rubber stamped image over and over on the front panel. 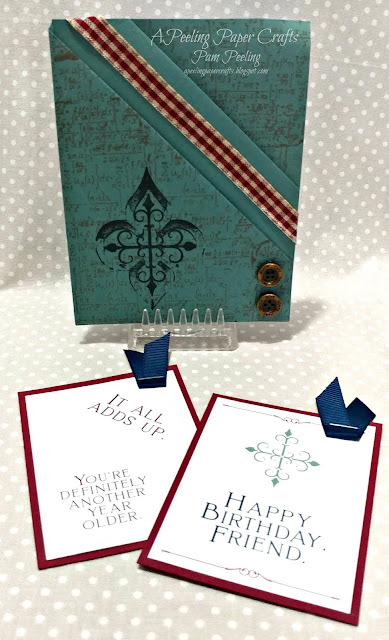 I placed all 4 panels together and stamped with the unmounted rubber stamps. For the Luminary card I used a die cut to cut out the panels. Then I backed them with a piece of vellum. I used embossing powder on the unmounted rubber stamped images at the bottom of each side. 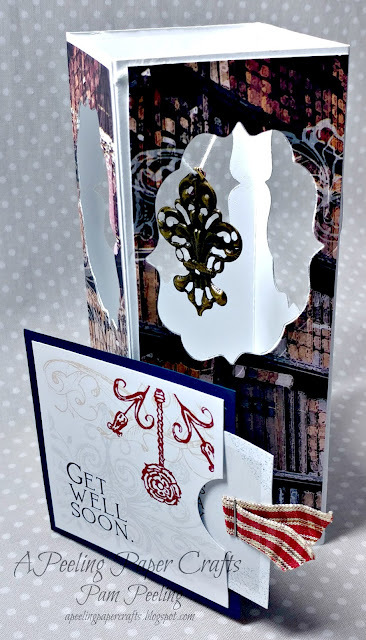 I used a fancy dies cut shape to create the openings. I matted each side with a piece of patterned paper from the page kit. In 2 corners I poked a hole for the string. 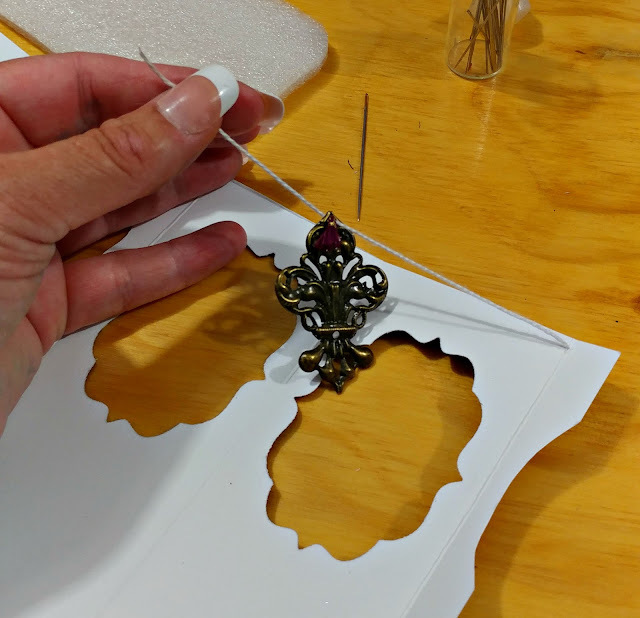 I threaded the embellishments onto the string and stretched it across to the opposite corner. I tied it off and tucked it behind the matte with a little glue to hide the knot. I spritzed the base of the card with blue glitter ink. 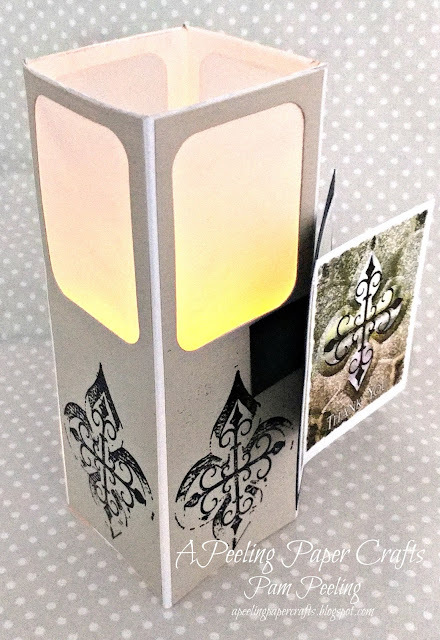 I used the pieces I die cut from the luminary card and stamped an image from the unmounted rubber stamps. 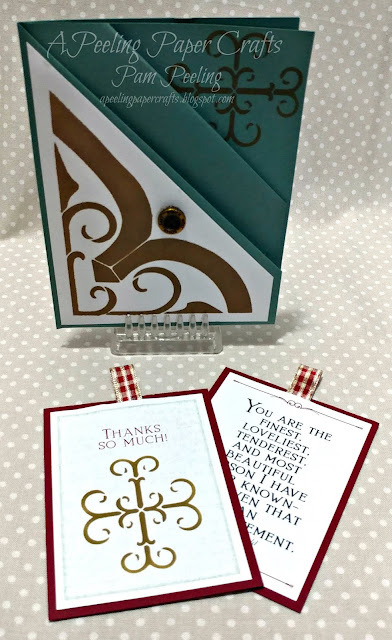 I had so much fun changing up these cards a little-there's so much you can do beyond just the basic card kit! 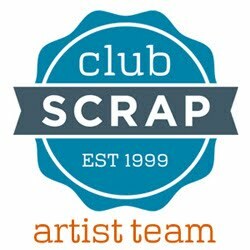 Check out the blog post on The Club Scrap Website! Your designs are beautiful! I can't even pick a favorite because each is amazing! Fabulous box cards! Absolutely LOVE the luminary idea. 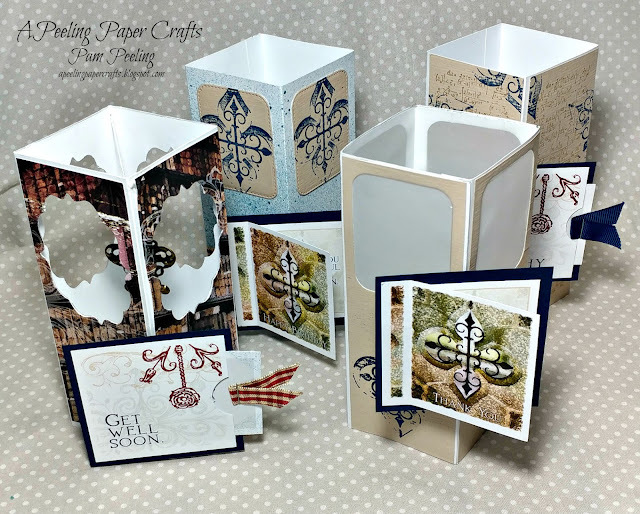 I love that you reminded people there's so much you can do beyond the basic card kit! So true! 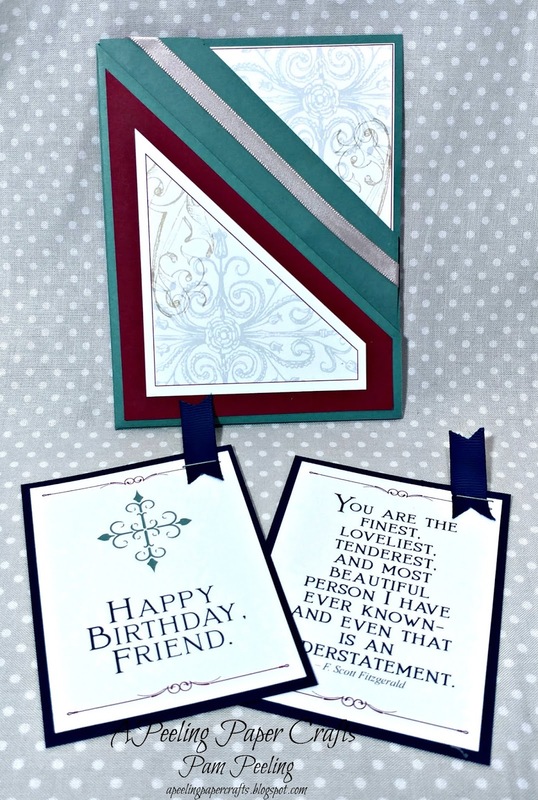 Thanks for sharing your fabulous cards!